I love stripes, I like solid colors and I am a sucker for chicken fabric and fusion silhouettes. That’s who I am. 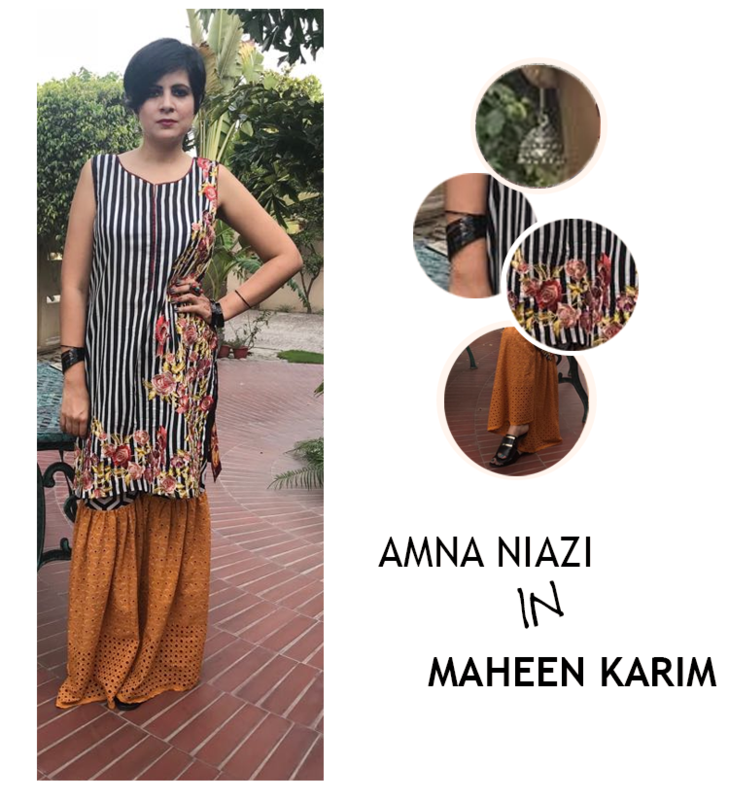 So when I received an un-stitched suit from Maheen Karim for ZS Textiles I fell in love with how the print and embroidery were minimal yet chic, the fact that it came with a printed monotone back, pieces of chicken fabric and geometrical print for sleeves. So I decided to give the outfit a personal spin. I opted to go for a knee length shirt and a tapered gharara that I thought would be apt if you’re going for a hi-tea and/or a lunch. 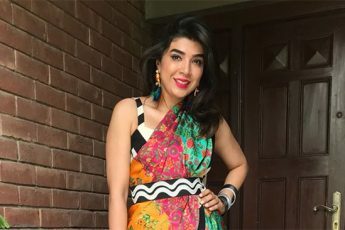 Also, what I loved the most about my look was the combination of embroidery and stripes put together, but my favourite was the touch of modern ethnicity because of the geometrical and chicken kari gharara. Moreover, I paired the outfit with silver jhumki’s and black chooriyan to maintain the festivity of the look, and chose to remain comfortable in my Roger Vivier slides. I love sharing my personal style choices, so watch the video to see more of me and my style right here!